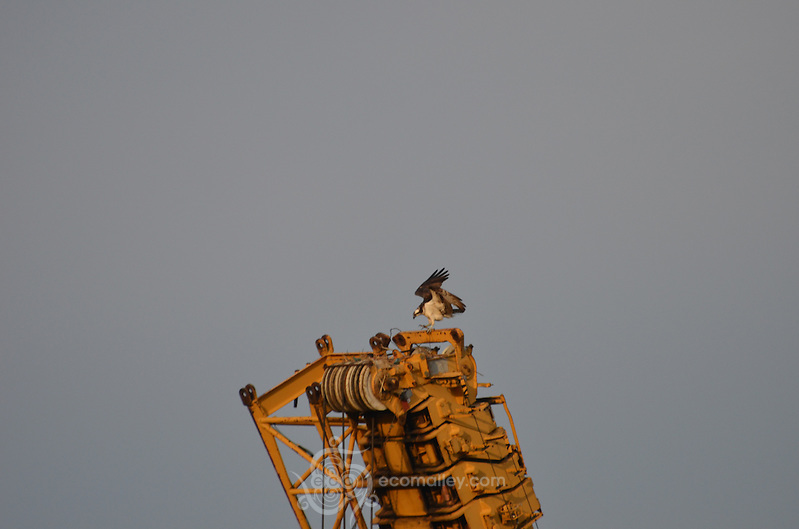 For many years now, Mantoloking has had ospreys in town in summer. However, when I was little (early 80s), this was not the case due to DDT, and other factors. 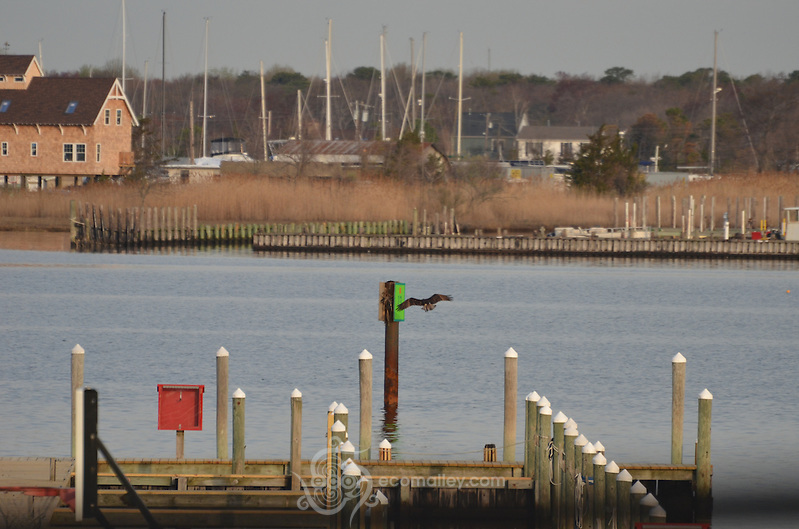 Happily, the ospreys have made quite a come back, and it is always fun to see them when they first arrive (often in April). 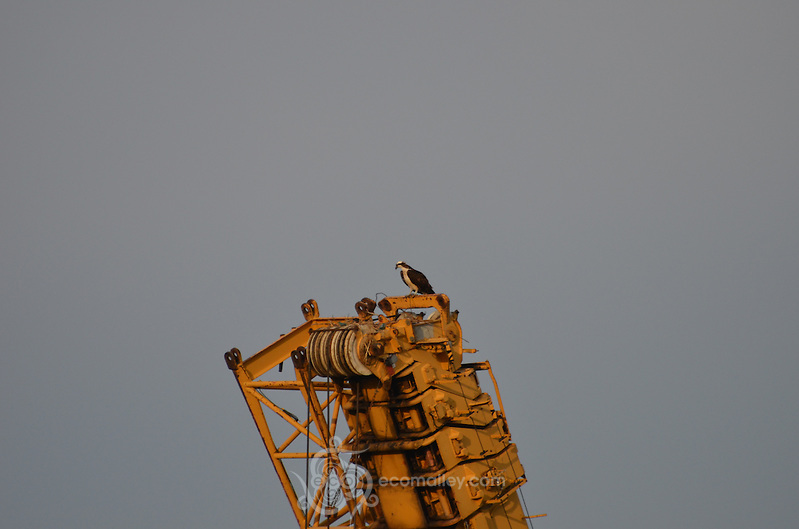 This morning, they were particularly interested in a large crane that is being used for the Route 35 construction. Unfortunately, I don’t think that they have figured out that this is not a suitable nesting site. While coming over the Mantoloking Bridge this afternoon, I had a very clear, sunny view of the the area of Mantoloking where the inlet formed by Sandy once was. Later, I went back to take the following pictures. As you can see, things have come a long way – if you look closely, you can even see new houses, pilings, and more going up. Please click on the photo below to see more. Though it was too cloudy for a good sunrise this morning, I was able to take this quick video instead. It shows a 360 degree view of the beach near Lyman Street in Mantoloking. There are a few additional photos below. 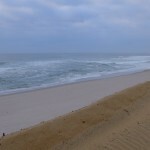 Looking north along the beach in Mantoloking near Herbert Street. 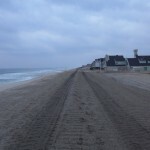 Looking south along the beach in Mantoloking near Herbert Street. 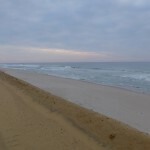 Looking south along the beach in Mantoloking, half way between Lyman and Herbert Streets. 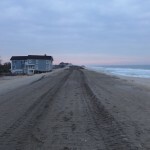 Looking north along the beach in Mantoloking, half way between Lyman and Herbert Streets.